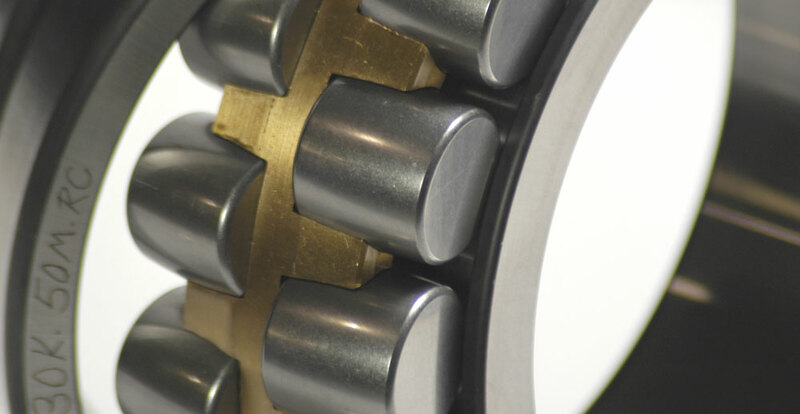 Custom Precision Bearings offers a full line of Spherical Roller Bearings to fulfill the precision run out needs for the printing, coating, laminating industry as well as specialty tapes, films, and foils. 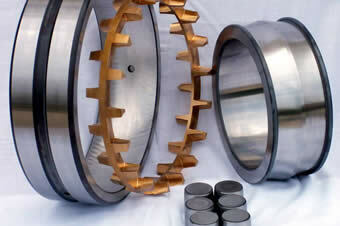 From as small as 40mm bore to as large as 200mm bore. At Custom Precision Bearings, all of our bearings are custom built, so we can offer tolerances ranging from .000025 T.I.R. to .0004 T.I.R. with reduced internal clearance to meet the customer specifications. 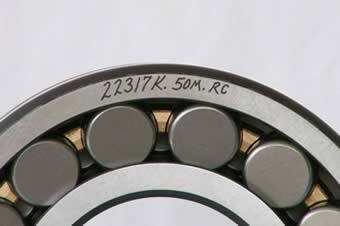 We also have experience in modifying taper roller bearings to precision class runouts down to .00005 T.I.R. 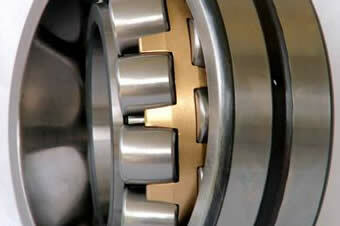 Custom Precision Bearings offers class A and B bearing repairs. Don’t need a new bearing? Send us your old bearings for evaluation for a possible rebuild and re-certification to precision class. A full range of engineering services are available from Custom Precision Bearings, Inc. For customers using our precision spherical roller bearings, we will be happy to review your application to be sure the proper bearing has been selected. We can also provide recommendations for such things as fitting practice and lubrication. In addition, we can provide a more extensive analysis involving bearings of all types (ball, cylindrical roller, tapered roller, needle roller, as well as spherical roller) on a consulting basis where required. We have available tested computer programs to analyze bearing and lubricant performance, shaft deflections, and thermal characteristics. To assist you in application development or in troubleshooting field problems, we have the experience to evaluate used bearings from your test program or from your machine in the field, to determine suitability or to resolve problems. Custom Precision Bearings also has experience in designing complete roll assemblies, including chrome plated coating rolls, chill rolls, and rubber covered nip rolls. In addition, we have experienced sources we can use to supply complete precision roll assemblies ready to bolt in place on your machine, or we can supply a complete set of detailed drawings for your own manufacture. Please contact us for quotation to meet your requirements. Below is a list of common bearing sizes that we offer. We also offer other custom sizes upon request. 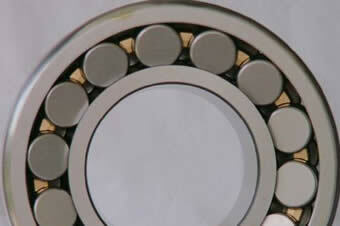 If you do not see the size you are looking please contact Custom Precision Bearings. Custom Precision Bearings has provided high tolerance precision spherical coating and calendar roll bearings for our company for over 10 years. We can always count on Custom Precision Bearing to provide the highest quality spherical bearings, knowledgeable engineering staff, and on time delivery. Several years ago, we found out that our coating bearings had been discontinued by the big bearing manufacturers. Custom Precision Bearings saved us by providing, and continuing to provide, high quality custom precision bearings in a timely manner. I don’t know what I’d do without Custom Precision Bearings. Contact Custom Precision Bearings Today! Custom Precision Bearings, located in Lebanon Indiana USA, specializes in custom precision bearings, coating roll bearings and spherical roller bearings for your custom precision bearing needs. © 2017. Custom Precision Bearings, Inc. All Rights Reserved. Website by Exceedion.